Produced in any size you require, standard size we recommend is approximately 50 x 50mm but this is a guide only and you are welcome to request any size you like! Our magnets are produced to any shape you need, each and every order is different and these magnets are produced 100% to order. Here's a custom item you're sure to love. Our metal fridge magnets are strong, durable, and have enough room to print something unique on the front. Many businesses love these because there are numerous ways to use them for marketing or profit. They're also perfect for fundraising. You can use our metal fridge magnets as a promotional item to increase exposure for your business or fundraiser, or you can sell them either with your brand or a fun image on the front. You're able to use these in so many ways. This is a classic and versatile item your customers are sure to love. We offer numerous customisation options for these magnets to make them unique to your business. First, you can choose what type of metal you'd like for the sides and back. 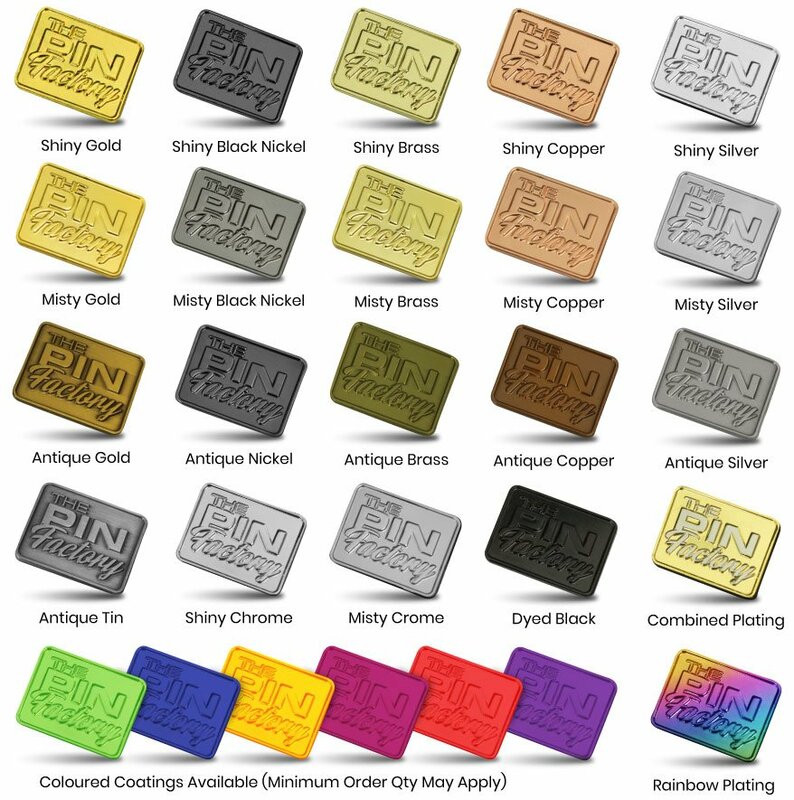 We currently have 19 different metal options to choose from. These come in gold, silver, brass, and so on, plus you can choose which shade the metal comes in. On top of that, we have several different branding options for the magnet. There's multi-coloured epoxy domes, single colour pad printing, stamped images, and much more. Take a look and see which one you like. They each have a different feel that will help customers connect with the magnet. Choose from 19 different metals and several different printing and production methods. Strong, durable magnets that will last for a long time. Can use for marketing or a profit. Multiple opportunities for use. Highly customisable, be sure to contact us for a quote. If you're looking to make a metal fridge magnet for your customers, then you'll find our magnets are among the best. Not only do they look amazing, but we have many different options to choose from. Be sure to contact us and we'll go over all our options to make your magnet perfect.